Driven by passion for film, art and culture, Ana leads Story: Production Company based in Barcelona, Mexico City and Lisbon. A company that’s always on the lookout for up and coming talent in its three markets whilst always aiming for excellence in craft and execution to cater for the ever evolving industry. Ana strongly believes in empowering and developing women in the industry, especially female Directors and DoPs. She has helped many young people grow because equality and fairness have always been her key values. 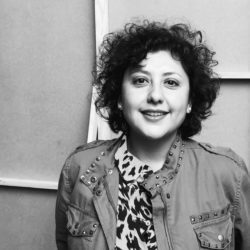 Ana’s story started when she was very young working at her father’s production company in Mexico City. At the age of 18 she went to study film in Paris and then moved to London looking for an international work experience. In 2001 she moved to Barcelona to co-found The Lift with the help of investors (NSF & Stillking). The company started working with TOP international names like TRAKTOR, Steve Ayson and Andreas Nilsson, amongst others. Later, in 2013, Story: merged with La Fabrica Films in Mexico City, to create Story: Mexico. In mid 2015, Story opened its Lisbon office. During this exiting journey, she has produced award-winning work and has created innovative artistic projects, events, short films, fashion films and is now exploring new angles of the business. In 2018, Story produced two series which will be aired in 2019 and aims to produce more content for TV in the near future.